Mathematician JAMES STEWART (March 29, 1941 – December 3, 2014) is known internationally for his high school, college and university-level textbooks. He was also a violinist, a former member of the Hamilton Philharmonic Orchestra, and professor emeritus of mathematics at McMaster University in Hamilton. 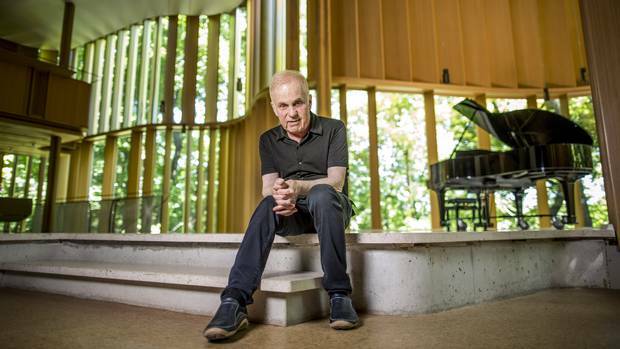 Mr. Stewart <PHOTO ABOVE – Tim Fraser/Globe and Mail> had an abiding interest in mathematics, architecture, the arts, and doing something to benefit his community. His books and Integral House will be his lasting legacy. 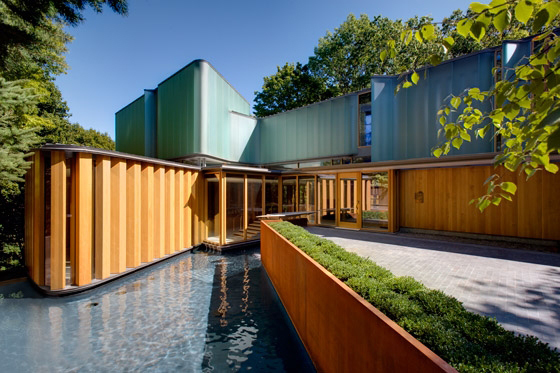 INTEGRAL HOUSE, designed by TORONTO’s Shim-Sutcliffe Architects, was constructed in TORONTO’s Rosedale neighbourhood in the early 2000’s. It cost around $24-30-million to build, plus an additional $5.4-million for the original home which was torn down. 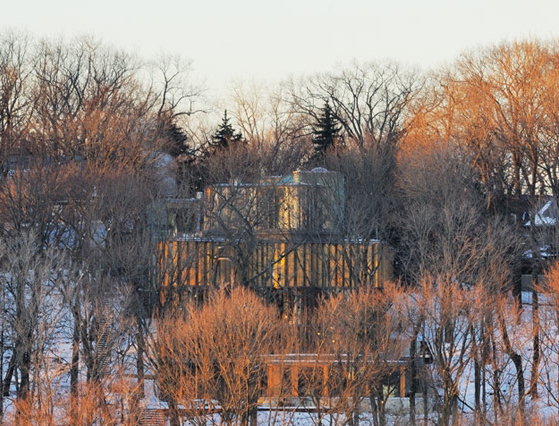 GLENN LOWRY, director of the Museum of Modern Art, calls the house “one of the most important private houses built in North America.” “The aspiration is that the project feels timeless,” architect Brigitte Shim said. The 18,000-square-foot curvaceous home has 5 floors, a concert space, a stairwell ensconced in handblown blue glass, and heated limestone floors. It took six years to build. The concert space seats 150. Small theatre groups, music festivals, dance companies and fashion designers have all used the house for fundraisers and/or concerts. JAMES STEWART passed away on Wednesday, December 3/2014 from a rare form of cancer. “My books and my house are my twin legacies. If I hadn’t commissioned the house, I’m not sure what I would have spent the money on,” he once said. This entry was posted in Architecture and tagged Canada, James Drewry Stewart of Integral House dies, Ontario, Toronto, Toronto architecture, Toronto's Integral House in Rosedale. Bookmark the permalink. I hope one day to see the house inside and out. A worthwhile legacy, though I expect most would disagree.